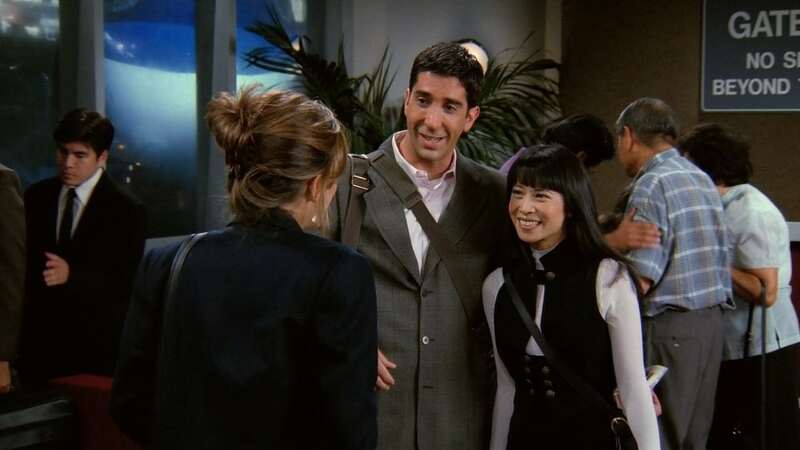 Rachel waits patiently at the airport for Ross, not knowing he is returning with a new girlfriend, Julie. Meanwhile, after giving Joey and Chandler new haircuts, Phoebe is persuaded to cut Monica’s hair, but gives her an awful haircut. And Joey learns that his tailor is a very naughty man.